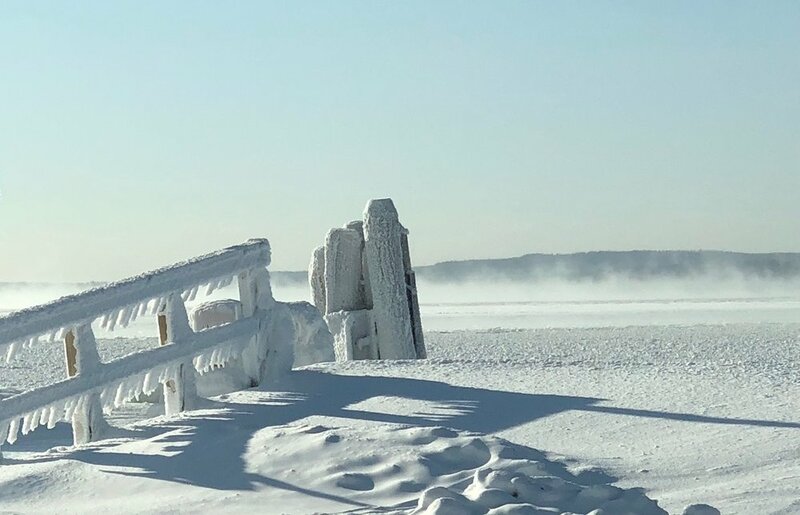 Chequamegon Bay is Freezing Up - Ferry Anticipates Shutdown! Sea smoke from the ferry dock on December 27th, 2017. Meanwhile, the cross-country ski trails are waiting!